Where do I start? AMAZING! Yes we may have seen you once or a hundred times before but playing for us on our wedding day was a whole new level! The first meeting you gave us contained priceless advice and I’m so glad we listened. You learnt the songs we said were important and then more! Your playlist and set were on point for our theme and you were such a legend throughout the day - stepping in when the MC was being talked over and changing songs mid way through when I yelled at you that I didn’t like that one song haha. Walking down the isle wouldn’t have been the same without you singing that very special song , so thank you for taking the time to learn it. We hope you had a great day with us and we cannot begin to thank you. Where to even start? Thank you just doesn't cut it for us. 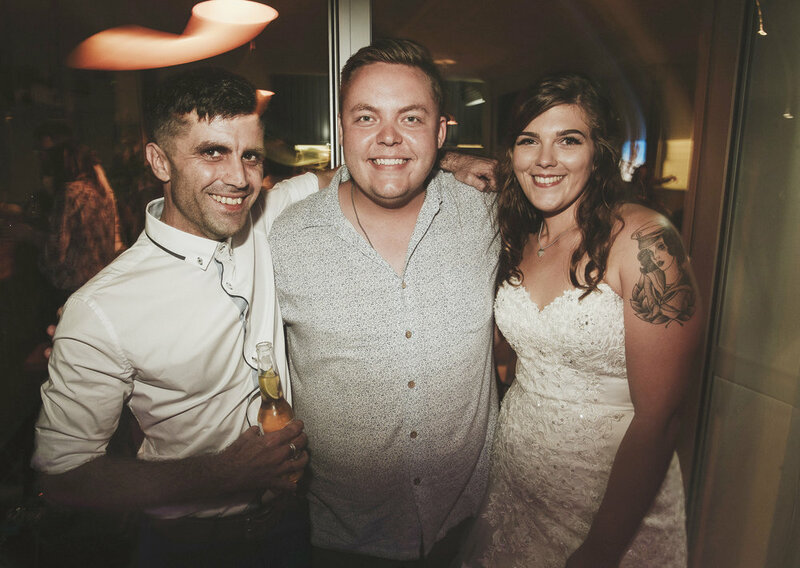 From the night we met you at one of our best friends weddings, right through to our own wedding day, we have absolutely adored every text, email, phone call and even snapchat we have had from you. We feel like we made a friend in the whole process and we never, ever doubted booking you the day we got engaged. You not only have the best voice and music capabilities, you are one of the most beautiful humans to ever walk on this earth. You helped with our song selection, learnt MANY covers for our special day and never hesitated with our thousand questions regarding the whole day. We can not thank you enough. 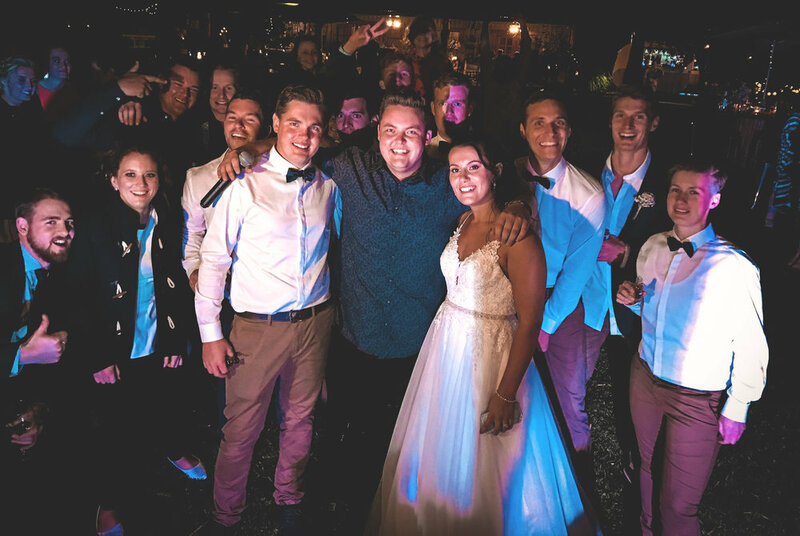 You made the walk down the aisle super special and had our guests up dancing all night long - we have received nothing but compliments on your incredible talent. You are honestly worth your weight in gold and I will be recommending you to anyone and everyone we know. Did I tell you you're amazing!? I just watched a video of Mitch and I entering the reception and I heard the music in the background. Perfect! I didn't even talk to you about music intros etc and you just got it spot on! Too easy! Everyone loved you and I'm so happy we chose you to make our night perfect! Cannot recommend you enough! Jake played and was MC at our wedding 5th May, he was fabulous from playing the guitar and singing on the beach to being DJ late into the evening. Jake was totally professional, mingled and chatted with all the guests and had us up dancing all night. Jake even learnt who Dire Straits were lol. Thankyou so much for performing at our wedding! We were so stoked to have you there and you were so friendly and accomodating from our first meeting all the way through. It’s clear you are so passionate about what you do, you’re an absolute natural performer and people person. Everybody had an awesome time, thanks for partying with us!